There are many open source software around these days and of them many are e-commerce softwares. 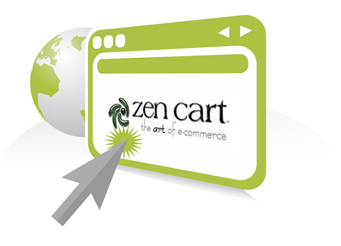 Zen Cart is one such e-commerce software that has been around for a while. Even amongst ecommerce software there is a big list of options. Many new open source, e-commerce softwares have shot to fame in the recent time and are now very popular as well. However Zen Cart in spite of being one of the older softwares has kept up with times. It is common knowledge that the programming language PHP is constantly being improved and they often release a new version of PHP with extra features and more security. The more recent versions of Zen Cart too has improved security along with many other additional features. It is possible to put together your own ecommerce website using Zen Cart however there are times when some additional customization is required which may not be so easy. When that happens it is a good idea to hire a Zen Cart developer to help you out. Alakmalak is a company that has many Zen Cart developers that are very experienced at Zen Cart development. Once you actually have your ecommerce website developed you can explore more on the website and view the statistics via the admin section. Though it does often happen that you are locked out of your very own admin due to some novice user. When this happens you are faced with several options of retrieving the password. One way of retrieving the password is by clicking on the ‘Lost Password’ link and enter your email address. This usually works just fine if the address provided matches that in the Zen Cart database. Alternatively if this does not work you have the option of editing the database directly via phpMyAdmin. For this it is first necessary to login to the control panel of the website and access the database via phpMyAdmin. You then need to edit the admin record and change the email address present in the field ‘email’. Once this has been done you can follow the ‘Forgotten password’ routine as described above. Though it is rare that such extreme steps are required in order to retrieve the password.